The cost of roadworks at Lough Atalia, due to begin in March, has risen to more than €2 million following the discovery of significant fuel contamination of the road under the Lough Atalia bridge. In further bad news for planned works, which includes re-aligning and lowering the section of the road under the bridge, there isnow a shortfall in funding of €500,000 and this money is required from the Department of Transport. The Galway City Council’s director of services for transport Joe O’Neill said Minister Pascal Donohoe was due to make a decision on the funding before the end of this month. At Monday's city council meeting, Mr O’Neill said if the work, which will take approximately 12 weeks, did not begin by March it would have to be delayed until autumn as the local authority did not want it taking place over the busy summer period. arose in relation to the cost of the project,” he said. “The feedback we are getting from the Department of Transport is positive. I’d be reasonably confident the work will get the green light. When asked why staff could not work on a 24 hour basis to finish the project in a quicker timeframe, council chief executive Brendan McGrath said work could not take place between the hours of 11pm and 7am due to the proximity of local residents and the nearby Radisson hotel. A number of councillors enquired if there were any plans to investigate who was responsible for the contamination. Fine Gael councillor Pearce Flannery said whoever caused the problem should be taken to task. Joe O’Neill said the council was unaware as yet to the cause of the pollution. 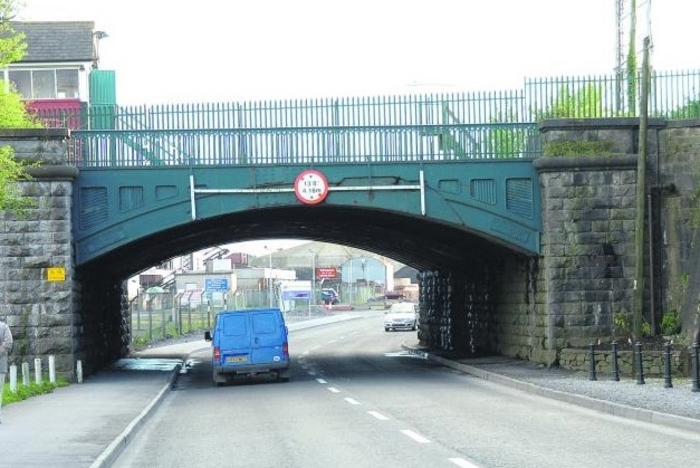 Labour councillor Neil McNeilus said the surface of the road under the bridge was in a very poor condition. He wondered if that issue could be addressed in the interim, while the wait for the roadworks to begin continues.